On November 8, 2017, the Department of Sociology of Central Women's University felicitated prominent Human Rights Activist, former advisor of caretaker Government, and freedom fighter Advocate Sultana Kamal. The program was held at the university auditorium from 11:00am-02:00pm. At the program, she talked about human rights, and the war of liberation. She also answered different questions asked by students. 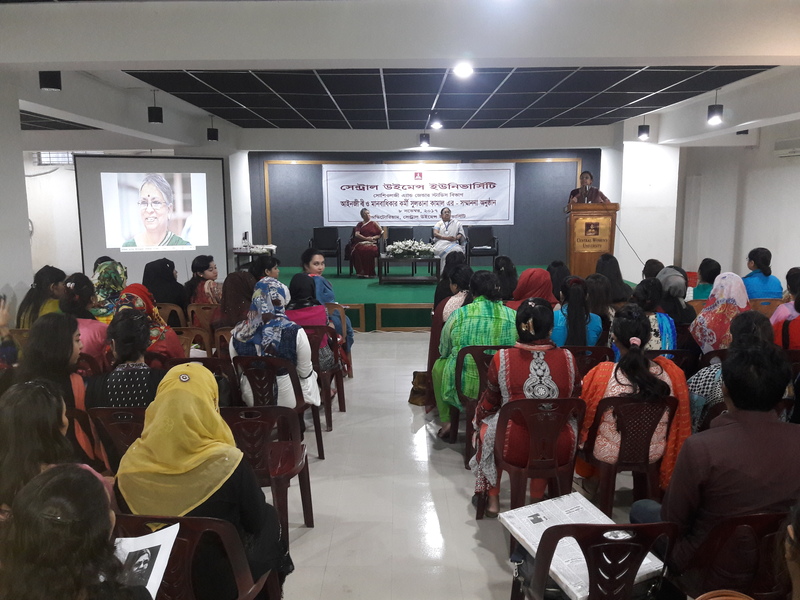 Vice-Chancellor of the University Dr. Perween Hasan, Registrar Mrs. Firdaus Ali, Chairperson Professor Dr. Maleka Begum, faculty members of the Department of Sociology, and students from different departments were present at the program.